Recently I had the honor of speaking at an International Living conference at the Riu Hotel in Panama City. For those of you who aren’t familiar with this magazine, definitely check it out: http://internationalliving.com/. It is chock-full of great information on the best spots to live abroad. The conference was a big success, with around 360 attendees mostly from the United States and Canada. 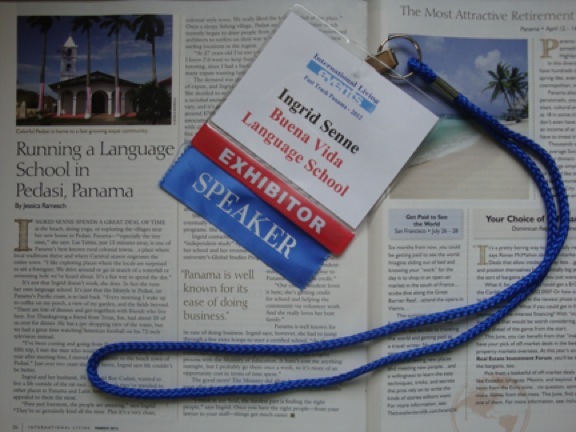 I made two speeches; I talked about what it was like to set up a business in Panama, and what it is like to learn Spanish here. I got to know many fantastic people who I hope to keep in touch with; even a few fellow South Dakotans! Bob and Laura, from Sioux City, Iowa, actually even made it to Pedasí after the conference for a visit! Thanks for the wine Bob and Laura! My in-laws are very excited to see you in Tel Aviv! I guess the bottom line is, I am truly grateful for the opportunity to speak at this conference, and for the eye opener on just how great it is to live where I live. 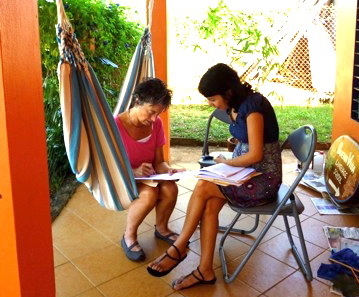 Do You Live IN Panama, or ON Panama? 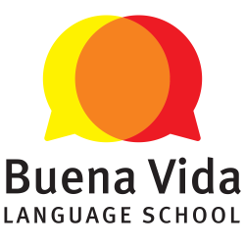 YOUR CHANCE TO WIN SPANISH LESSONS IS HERE!